The Autumn season is one of our favorites for reading. It’s just so cozy and amicable, then settling in with a good book and a cuppa late in the evening always sounds like a good idea. Here are some books that we hope to get to during this Fall season. Koontz is an author I once called a fave, but it’s been ages since I’ve read anything by him. So my plan is to catch up with some of the books I’ve missed including The Crooked Staircase. Battling the strange epidemic of murder-suicides that claimed Jane’s husband, and is escalating across the country, has made the rogue FBI agent a wanted fugitive, relentlessly hunted not only by the government but by the secret cabal behind the plot. King has already made my year by coming out with an awesome book, The Outsiders … and yet, he’s coming out with another one this year that sounds just as off-beat and right up my alley! Susan Hill might best be known for The Woman in Black, but her Simon Serrailler series is worth reading too. The Pure in Heart is my pick for he Oct. Monthly Motif Reading Challenge. I’ve already read books 1 and 3 in the series and both have been phenomenal. Book 2 wasn’t available on audio (which is how I experienced the other books), so I ended up buying the hardcover because I just didn’t want to miss out on it. A boy disappears waiting for a lift to school. A child miles away in the North of England, is abducted while walking to swimming baths near home. A girl and her harassed single mother become close to their next door neighbor Ed. Simon Serailler has very distressing cases, while still raw after a close shocking bereavement. I’ve been on the waiting list for the audiobook of An Unkindness of Ghosts forever and I’m hoping it comes through during the next few weeks. Aster lives in the low-deck slums of the HSS Matilda, a space vessel organized much like the antebellum South. For generations, the Matilda has ferried the last of humanity to a mythical Promised Land. On its way, the ship’s leaders have imposed harsh moral restrictions and deep indignities on dark-skinned sharecroppers like Aster, who they consider to be less than human. When the autopsy of Matilda’s sovereign reveals a surprising link between his death and her mother’s suicide some quarter-century before, Aster retraces her mother’s footsteps. Embroiled in a grudge with a brutal overseer and sowing the seeds of civil war, Aster learns there may be a way off the ship if she’s willing to fight for it. Coromoran Strike is one of my favorite fictional detectives (I loved the other 3 books in this series), so when this book comes out later this month, I’m going to be all over it. And just in case ya didn’t know – Robert Galbraith is a pseudonym for J.K. Rowling. When Billy, a troubled young man, comes to private eye Cormoran Strike’s office to ask for his help investigating a crime he thinks he witnessed as a child, Strike is left deeply unsettled. While Billy is obviously mentally distressed, and cannot remember many concrete details, there is something sincere about him and his story. But before Strike can question him further, Billy bolts from his office in a panic. Trying to get to the bottom of Billy’s story, Strike and Robin Ellacott — once his assistant, now a partner in the agency—set off on a twisting trail that leads them through the backstreets of London, into a secretive inner sanctum within Parliament, and to a beautiful but sinister manor house deep in the countryside. Thousands of them have lived underground. They’ve lived there so long, there are only legends about people living anywhere else. Such a life requires rules. Strict rules. There are things that must not be discussed. Like going outside. Never mention you might like going outside. Or you’ll get what you wish for. I’m reading this for the October Monthly Motif Reading Challenge (New or Old.) It’s one of those books I’ve been meaning to read for years and my husband has also been telling me to read for years. On a floating junkyard beneath a radiation sky, a deadly secret lies buried in the scrap. Eve isn’t looking for secrets—she’s too busy looking over her shoulder. But when Eve discovers the ruins of an android boy named Ezekiel in the scrap pile she calls home, her entire world comes crashing down. I ordered this on Kindle when it came out in May. I’m finally going to get to it this Fall. I really wanted to read more of Kristoff’s writing after reading and loving the Illuminae series he cowrote with author, Amie Kaufman. A young woman named Amanda lies dying in a rural hospital clinic. A boy named David sits beside her. She’s not his mother. He’s not her child. Together, they tell a haunting story of broken souls, toxins, and the power and desperation of family. I picked this up to read for #WickedGoodReads. When I posted about it on Instagram a few people messaged me to tell me how much they really enjoyed it. I’m excited to read it for myself. Not too long from today, a new, highly contagious virus makes its way across the globe. Most who get sick experience nothing worse than flu, fever and headaches. But for the unlucky one percent – and nearly five million souls in the United States alone – the disease causes “Lock In”: Victims fully awake and aware, but unable to move or respond to stimulus. I’m reading this because I’ve never read a Scalzi book before and my husband just got this with one of his Audible credits. 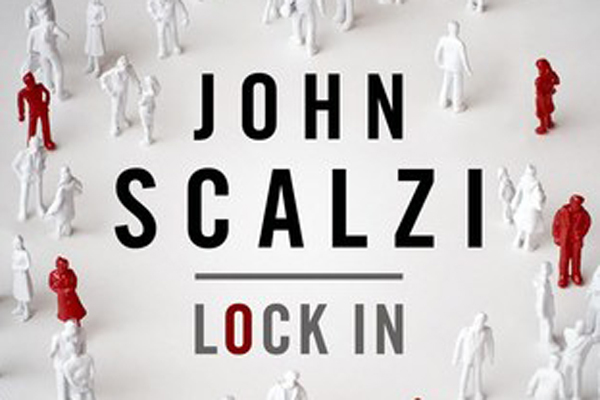 I’m not sure it’s the best Scalzi book to start with but we’ll see. This is a world divided by blood – red or silver. The Reds are commoners, ruled by a Silver elite in possession of god-like superpowers.Mare discovers that, despite her red blood, she possesses a deadly power of her own. One that threatens to destroy the balance of power. Fearful of Mare’s potential, the Silvers hide her in plain view, declaring her a long-lost Silver princess, now engaged to a Silver prince. Despite knowing that one misstep would mean her death, Mare works silently to help the Red Guard, a militant resistance group, and bring down the Silver regime. I’m reading this for the November Monthly Motif Reading Challenge (Family.) I had to choose this book carefully because family drama is one of my least favorite things to read about in books. Family plays a big part in this book but I think with this being a fantasy book it won’t bother me as much. Everyone seems to love this book so I’d like to see what all the hype is about. 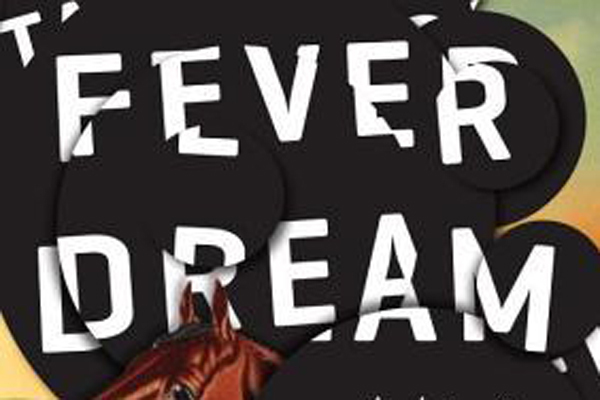 Would you add any of these books to your TBR list? 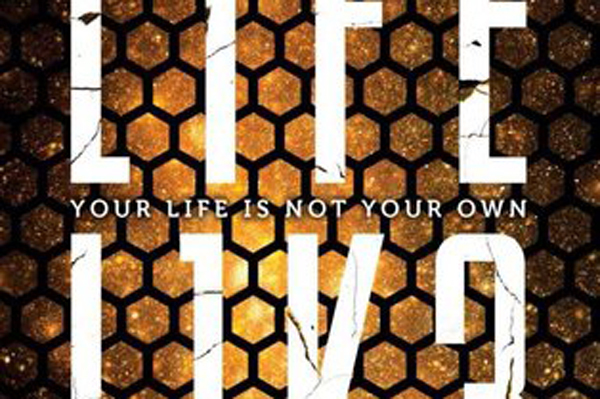 I really want to read Lifel1k3 as well! I’ve had it since its release and still didn’t get to it.. Hopefully soon! I’m also going to read a Stephen King novel during Fall, but it’ll be IT. Going to try and tackle that monster during a readalong. Fingers crossed I survive because I.. hate.. creepy clowns? Haha. Looks like you’ve got a great line up planned! 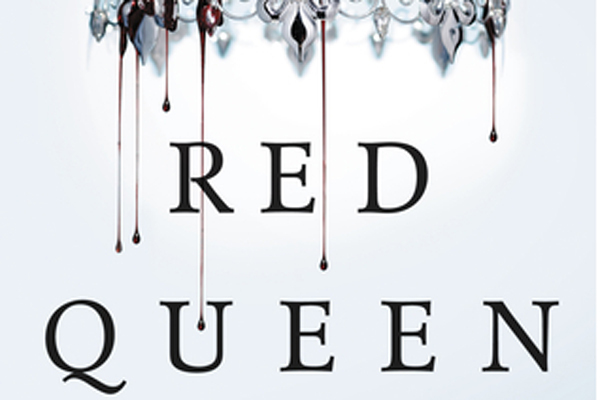 I’ve also got to read Red Queen! I’m so behind on that series! LOL! Happy Tuesday! Everyone I’ve talked to has loved it so I need to see what all the hype is about. 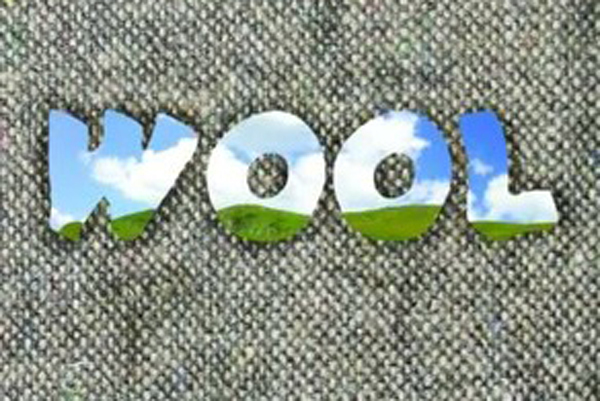 WOOL IS SO AMAZING!!! You will love it and want to immediately read books #2 and 3. After multiple friends kept saying “You MUST read this book!,” my husband and I finally listened a few years ago and both loved it – and the rest of the trilogy. We are also fans of both Koontz and King and have my dad’s collection of books by both authors – so lots of catching up required there! I just put The Outsiders on my list to order tomorrow at our local indie bookstore for my husband’s birthday. And I have heard great things about Susan King but haven’t read any of her novels yet – must move her up my never-ending TBR list! Great fall reading – enjoy! I’m really excited about Wool. I can’t believe it’s taken me so long to dive into it.